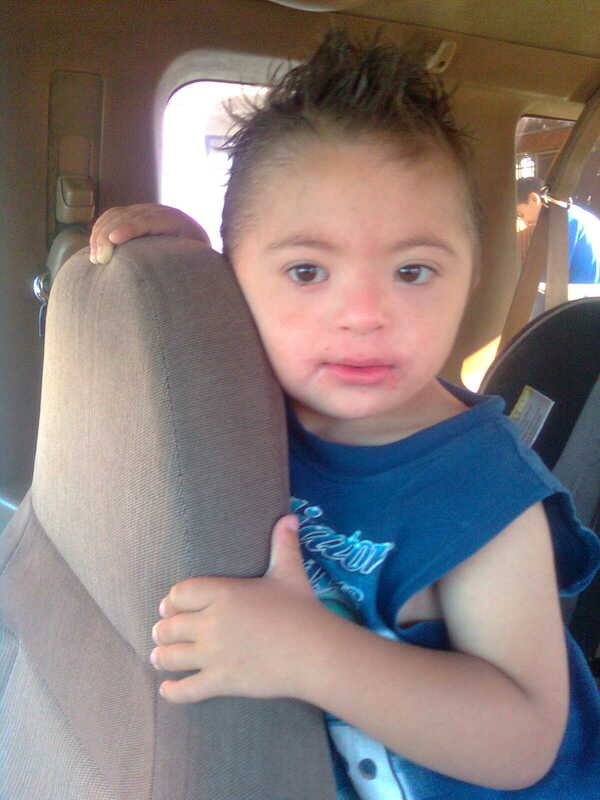 My Baby With Down Syndrome Looks Just Like Me, His Father...! You are here: Home / Family / It’s Like His My Mirror…..I’m Looking Right At The Other Half Of Me! 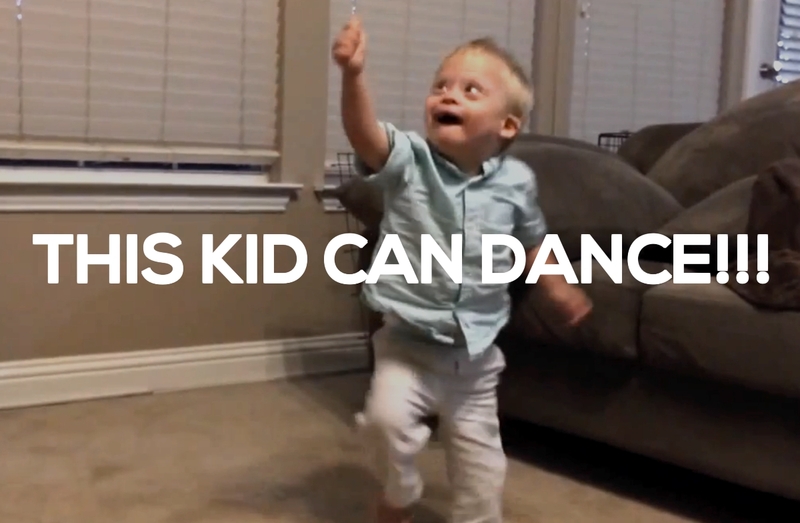 In case you haven’t noticed this little boy likes to dance! It doesn’t matter if it’s the macarena or rocking out to Call Me Maybe, if there’s music playing you can bet this little boy will be dancing to it! Check out the video below to see this our little toddler dancing to Justin Timberlake’s Mirrors! If you like awesome music be sure to check them out on Amazon! There’s a good chance they have covered one of your favorite songs. Does This Kid Look Like His Daddy Or What? Speaking of mirrors, it’s like I’m looking in a mirror every time I look at this kid! Not only does he dance just like his daddy, he rocks the bow tie just like him as well! 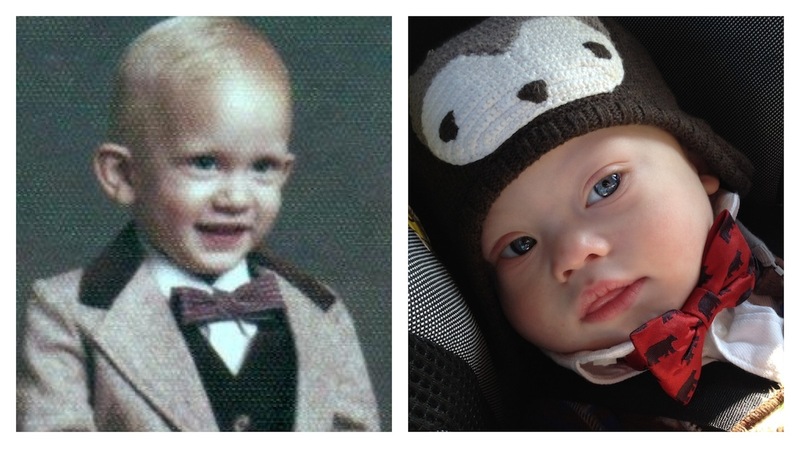 Check out these pictures of me (Noah’s Dad) as a little boy and Noah as a little boy. I love this little boy so much. I love how he plays, how he smiles, how he hugs, how he dances, how he eats waffles, and how he loves his mommy and me so much! It’s such a blessing being his daddy! By the way October is Down Syndrome Awareness Month! Be sure to check out these simple tips to learn how you can make a difference this month! Does it feel like you’re looking in a mirror when you’re looking at your kid? Does your kid like to dance? Leave a comment below and tell us about it! Bonus points if you share a picture in the comments as well! Thanks so much for the kind words! Do you have any children? My 4 yr old Chase has DS too and he LOVES to dance (especially to the Wiggles!!). 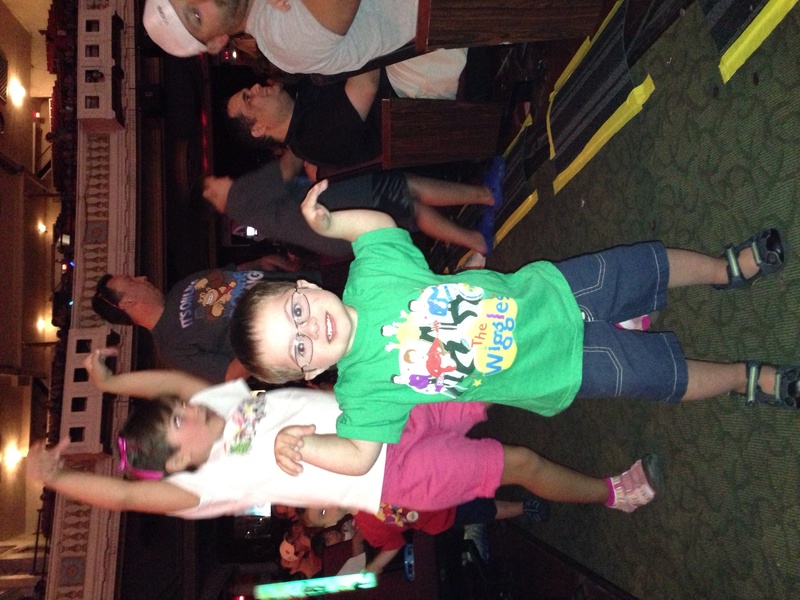 Here he is at the concert in Aug.
That’s awesome, Noah is a huge fan of the Wiggles. That’s so great that you went to the concert!! I know Noah would love to go some day as well! We are off to the Buddy Walk in NJ today! Always a fun time! Awesome, be sure to let us know how it goes and feel free to share some of the pictures from the Buddy Walk in the comments!! 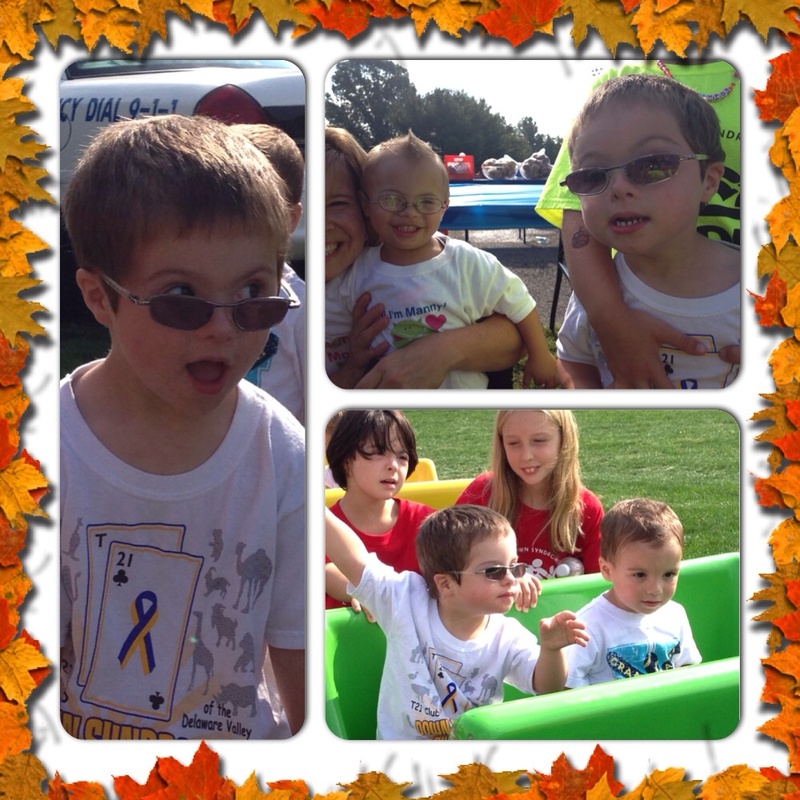 We had a great day at the Buddy Walk. We met new friends and enjoyed the activities! 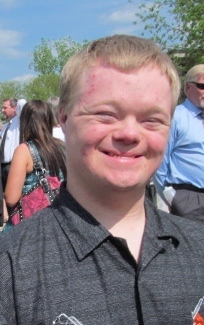 I think all down syndrome children are beautiful.I have had a great experience with one when I was 16 on a ship on my way back to my country.Other kids on the ship wanted nothing to do with him,and we became great friends. Thanks John for taking the time to get to know that lucky young man. I’ll bet you two had a great time. I love seeing your posts about Noah and your family. 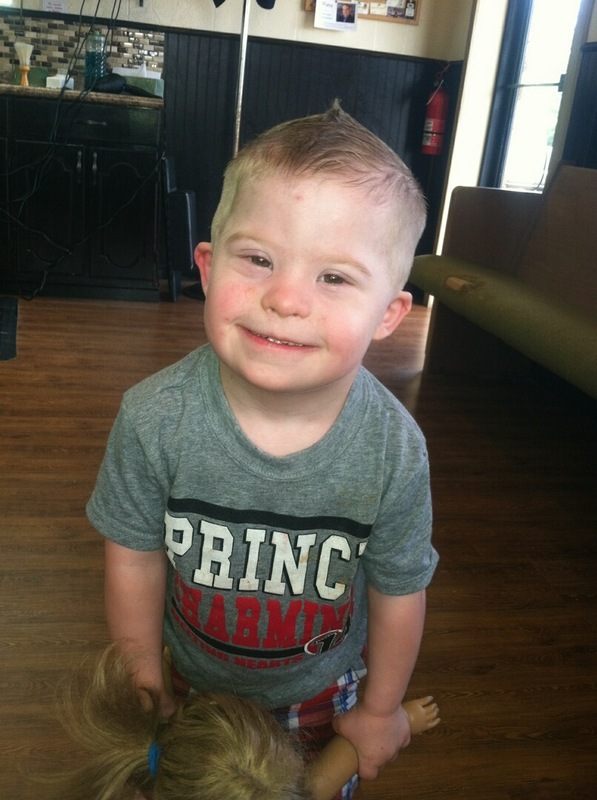 My grandson, Joey has down syndrome. He is truly a blessing from God! I’m attaching a pix of him. That’s great! Where in Texas do you guys live? We’re in the Dallas area. Sorry Rick but he looks like his mom too. He’s best parts of both of you. Thanks for sharing his story. I also love to follow Noah’s stories. 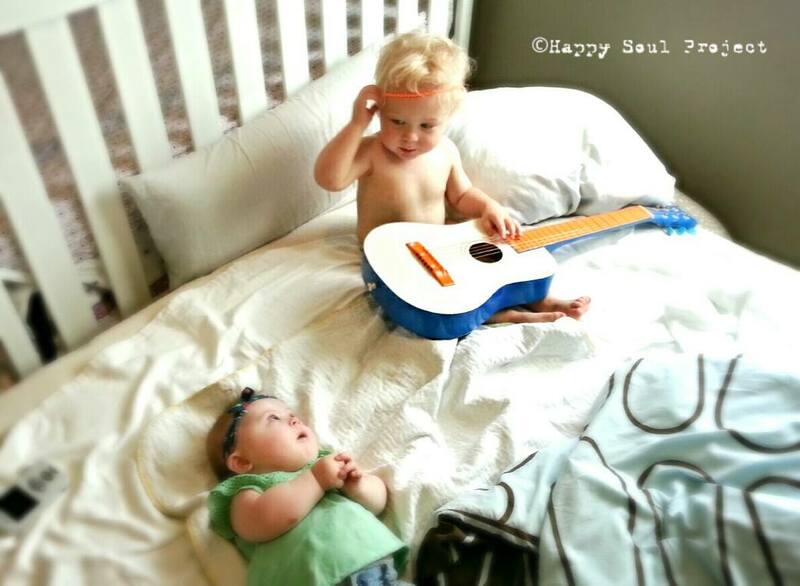 I’m sure we are all blessed for having Down Syndrom babies in our lives. This is Walter, my brother, my love and my life. We are from Brazil. He is 33 years old. Hi! Thanks so much for your comment and for sharing your picture. We seem to have a lot of people from Brazil. That’s great. Are you a big sister, or little sister? What sort of things does your brother like to do? I have to say that I’m more and more in love with Noah. Your kid is very cute, lovely, a bless. His smile makes the day better. 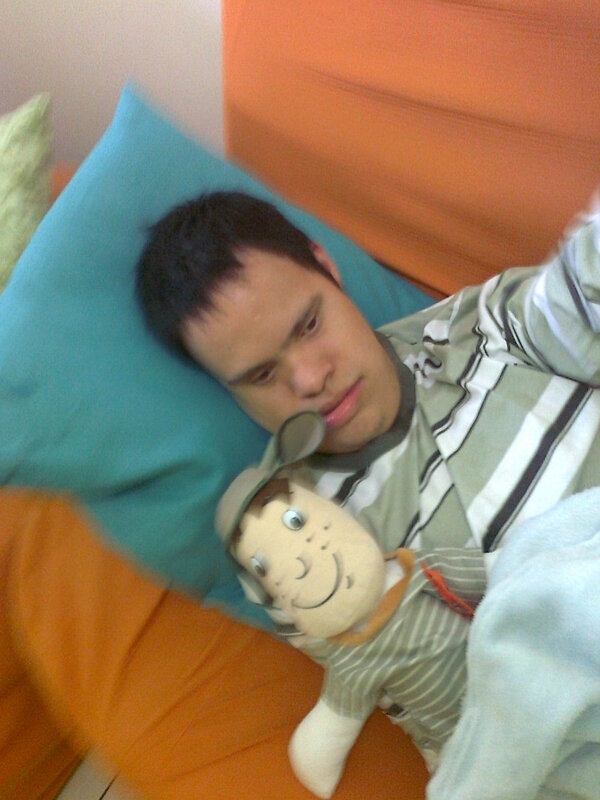 I think down syndrome kids have this power to make our days better. Walter has 33, he’s 2 years younger than me. 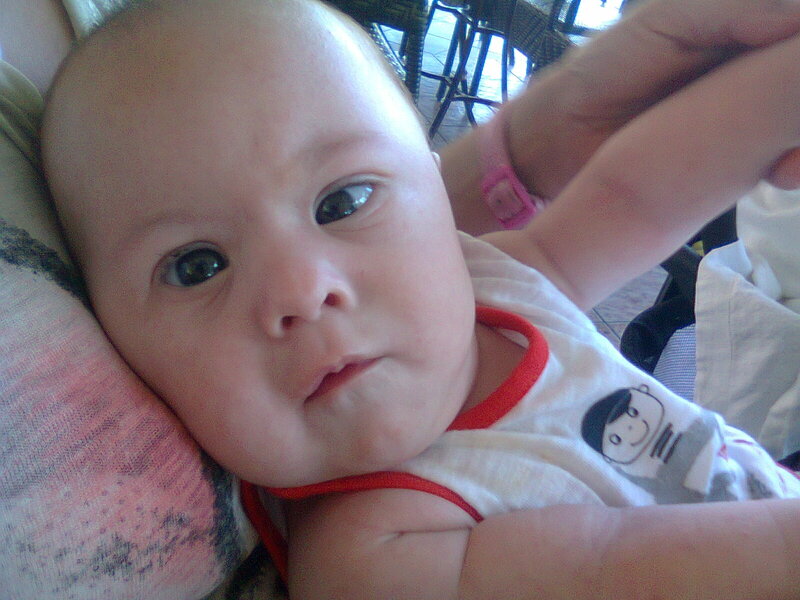 He is my brother, but I’m also a kind of mother to him. We lost our mother in 1996 and dad in 2001. 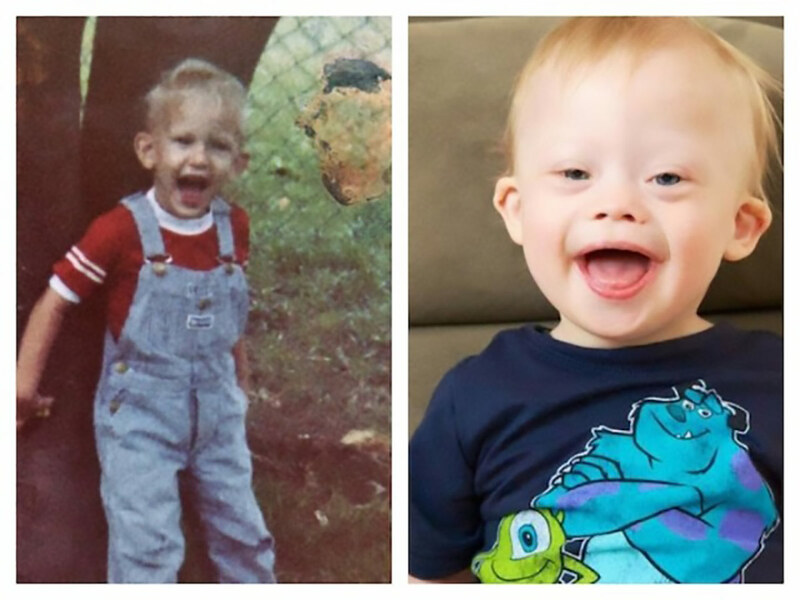 I cried a lot reading Noah’s birth story because I thought my parents have felt the same when they discovered Walter has Down Syndrome. Can you imagine how much prejudicious and ignorant people could be about the Syndrome 33 years ago? I read a document of his birth which even has the word “mongol”. But the fact is that he is lovely and makes our lives better. We love him so much. He loves dancing and is a Chavo’s fan. Where part of the world does your son in law live in? We live in the Dallas area and there is a huge place where a lot of country bands play called Billy Bob’s here! We all live in Colorado. Really?? What part if you don’t mind me asking? Hmm…I’m not sure where that is. My wife’s family lives up near Apsen…are you guys any where close to that? Chaffee County is on the other side of the Contiental Divde southeast and not very many air miles from Aspen. Awesome! We drove up the Continental Divide this summer when we were visiting my wife’s family. It’s beautiful! tienen un hijo hermoso, igual al mio 😀 lo veo y es como si mirara al mi hijo. What an adorable little one you have there! How old is he? 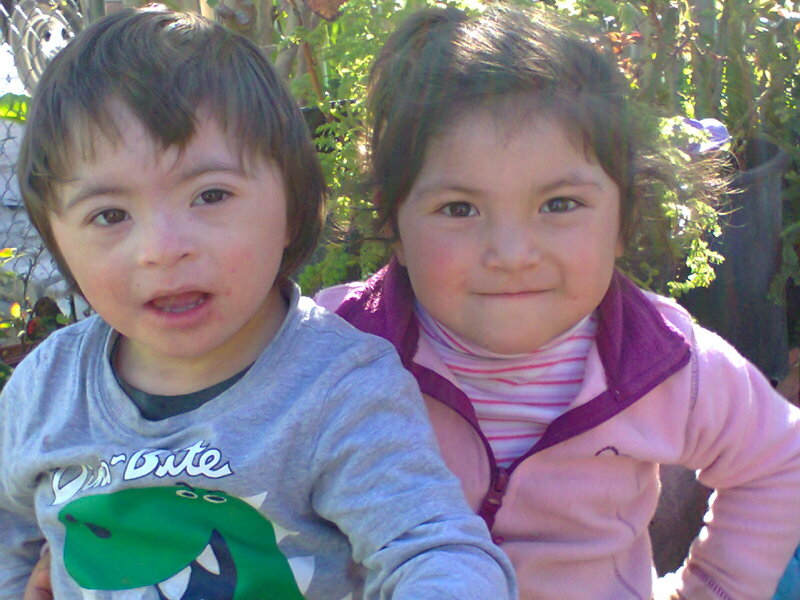 ah y tiene una hermanita de 3 años ellos se adoran le envio foto de ellos. bendiciones para ti y su familia. you’re the best Noah and your family!! Love from GREECE the most beautiful place in the world. Thanks for the comment, the kind words, and for sharing your picture! Your son is ADORABLE! How old is he, and does he have any brothers or sisters? Oh she’ll get it, I’m sure! What an adorable little one you have!! That’s awesome! Does he have any brothers or sisters? I love seeing all the pics of our precious angels. I have a brother, Vince, 60 yrs old and a daughter, Kathleen, 25 both with DS – they argue like brother and sister. I get a kick out of watching them interact. Kathleen tells me and others (usually checkers at the grocery store) how lucky I am to have her! I have to agree with her on that. Our family has been blessed twice over.